As someone who owns over 500 professional brushes, each making an integral part of my kit, selecting just a few must-have applicators and brushes is not the easiest task. As I was sifting through my collection, I realized I have 14 different applicators simply for the cheek – and the number of brushes I own for the eyes outnumbers this almost 3-fold! While this is quite standard for a beauty guru or a makeup artist, for those looking at creating their arsenal of the few must-haves for their personal kit, here are some of the ride-or-die applicators I own! 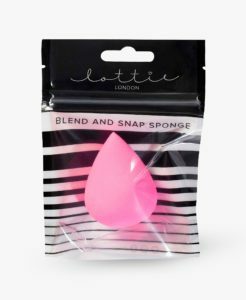 A Makeup Sponge – For those who like their skin to look naturally air-brushed, look no further than a trusty makeup sponge. Anything from the by-the-dirham wedges available at the nearest supermarket to the revered Beauty Blender will definitely do the trick to diffuse harsh lines and even out texture on the skin. 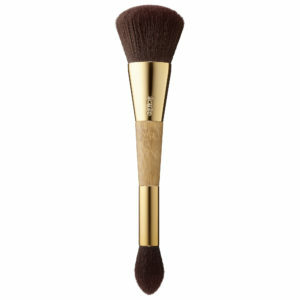 The Powder Brush – The powder brush is a makeup bag staple. Your powder brush helps you lock your handiwork in place by evenly distributing powder all over the skin, and can be used to quickly brush away excess product. 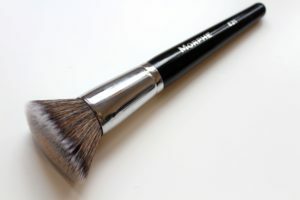 A dense, fluffy brush is the ideal pick for powder. How to use: Dip the brush into a pan of press powder, or a jar of loose powder, tap away the excess, and gently, using downward sweeping motions, brush the product onto the face and neck. 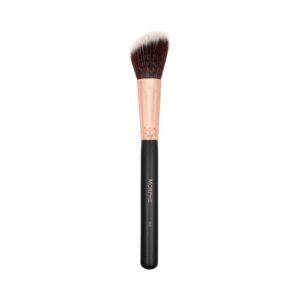 The Angled Blush Brush – A great pick for the entire cheek is a fluffy angled blush brush. 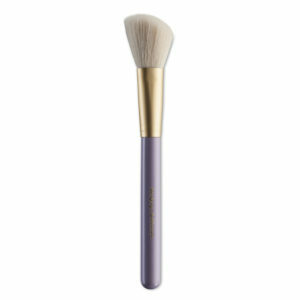 Softer, fluffy angled brushes are great for applying blush, bronzer and highlighter. Angled brushes with stiffer, more densely packed bristles can be used for more controlled contouring. 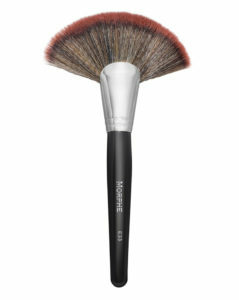 The slanted shape of the Angled Blush Brush offers precision application for a sculpted loo. How to use: Apply blush to the apples of the cheeks and blend backward towards the ear using small, circular motions. For contour, start at the point just below the cheek bone near the ear and diffuse inwards using a backward-forward movement. For highlight, using a soft hand, pick up powder on the brush and use the angle of the brush to create a C along the brow bone down to the tops of the cheekbone. The Fan Brush – The fan brush is a real multi-tasker – use it to apply highlighter or clean up loose eyeshadow from under the eyes. 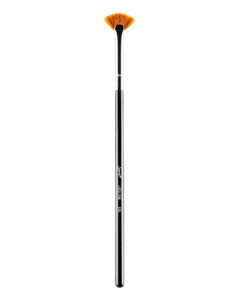 Because of its unique shape, a large fan brush is the perfect tool for contouring your cheekbones, nose, jawline and forehead! A more smaller brush also makes for the perfect highlighting tool. How to use: For glowing skin, use it to lightly dust powdered highlighter along the tops of your cheekbones and the bridge of your nose. Recently, very tiny size fan brushes have been used by beauty gurus to apply mascara to the lower lashes. 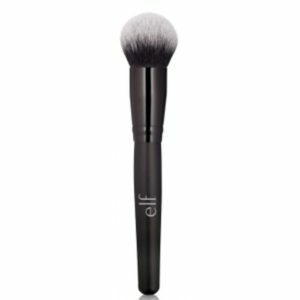 Use a fluffier fan brush to dust away excess powder for a smooth, even base. 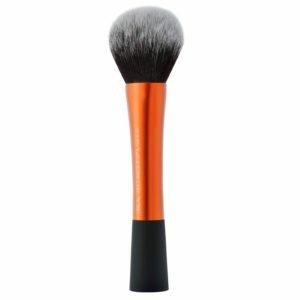 The bronzer/contour brush – This is a wide, fluffy powder brush with a rounded top. It can be used to apply bronzer or even for contouring. How to use: Apply bronzer in the hollows of the cheeks and on the nose, forehead, jawline, and ear tips for a sun kissed glow. To blend, use long, swift strokes.